Though Metro-North is primarily a commuter railroad, they do frequently offer deals and excursions to attract those that don’t normally commute. 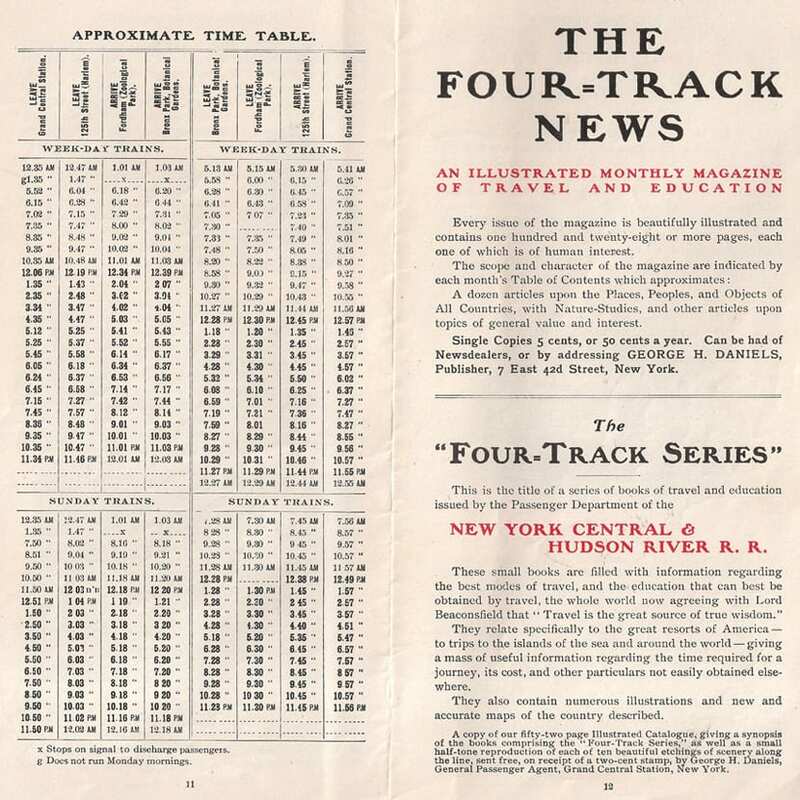 However, Metro-North is certainly not the first to advertise various attractions to get people to ride the rails. The New York Central promoted taking the train to the game (before that phrase was trademarked by the MTA! 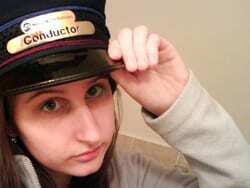 ), and even taking the train to visit your institutionalized loved ones. 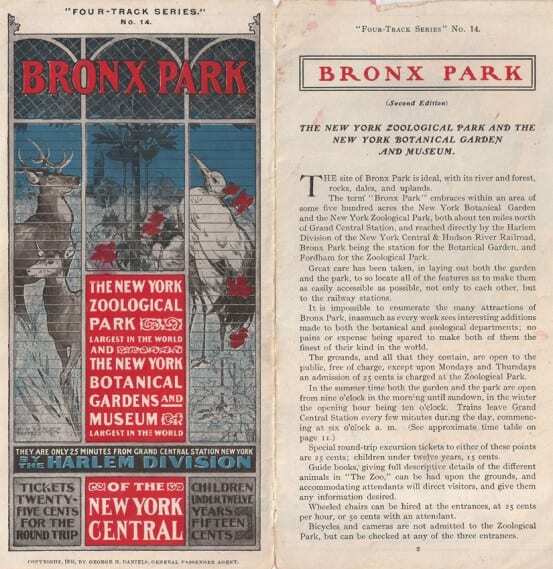 The Bronx Zoo and the Botanical Gardens are two other attractions that you can visit by train, and over the years have been advertised by both Metro-North and the New York Central. 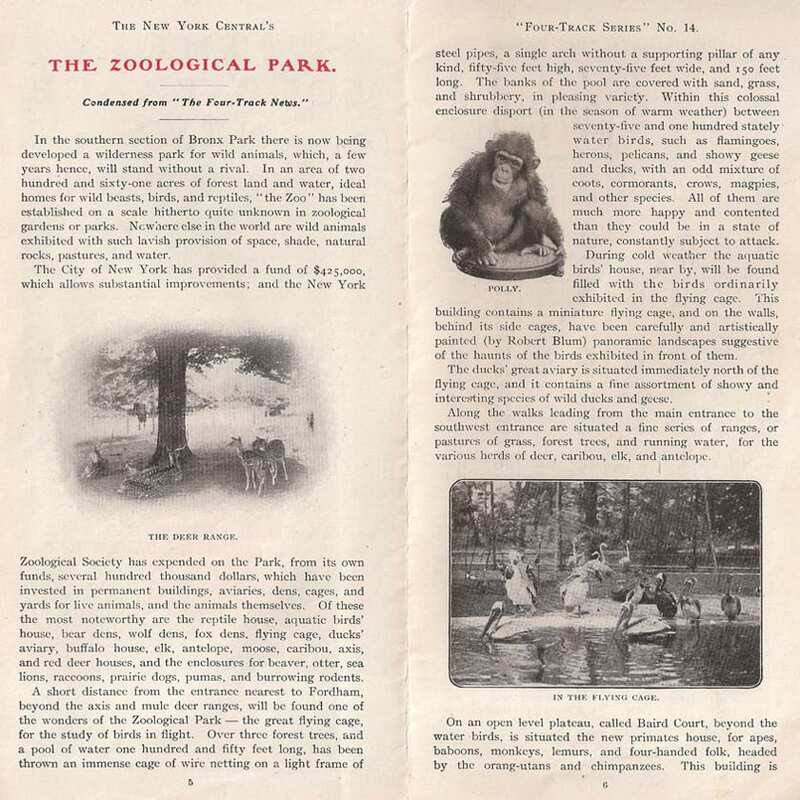 One of my most recent eBay acquisitions is a brochure printed by the New York Central in 1904, advertising the Bronx Park – or what we’d know today as the Bronx Zoo, and the New York Botanical Garden. Visiting both was, and still is, easy via the Harlem Line. 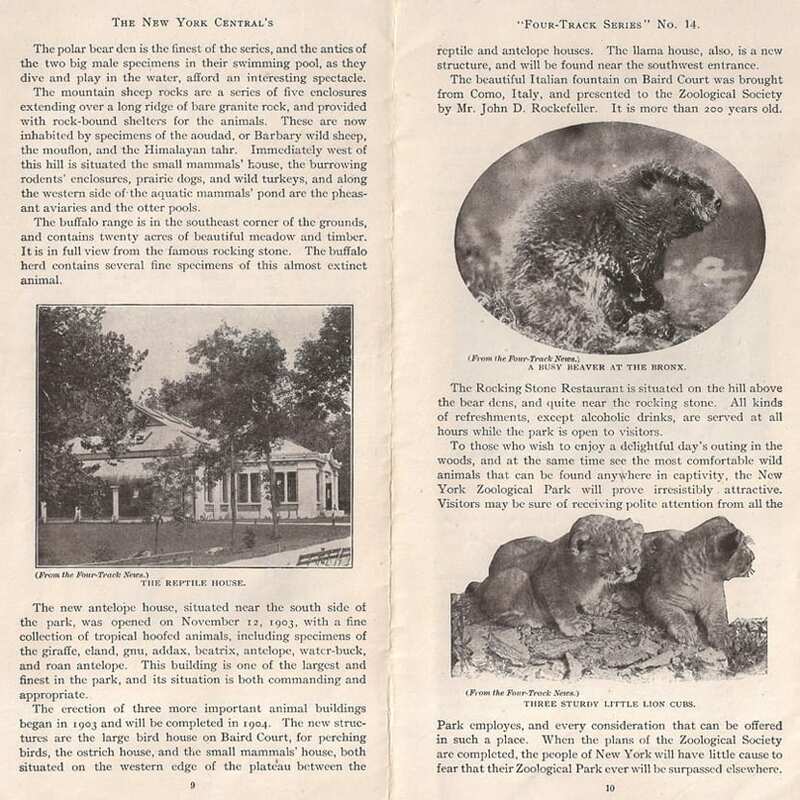 Although I loved the cover of the brochure, it was also interesting to read about these parks and what they were like over a hundred years ago. Anyways, this was too good to not share… enjoy! 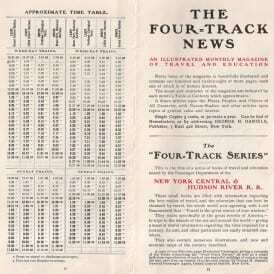 Round trip tickets from Grand Central to Fordham was 25 cents for adults, and 15 cents for children. Entrance to the Botanical Garden and Bronx Zoo was free, except for Mondays and Thursdays, where the zoo charged 25 cents admission. You could rent a wheelchair – and someone to push you around in it – for 50 cents. Cameras were not permitted at the zoo. 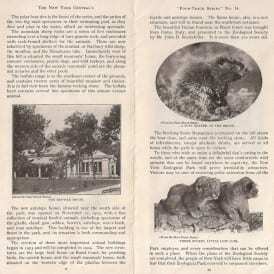 The lion house at the zoo was at that time the most expensive building, at a cost of $150,000. 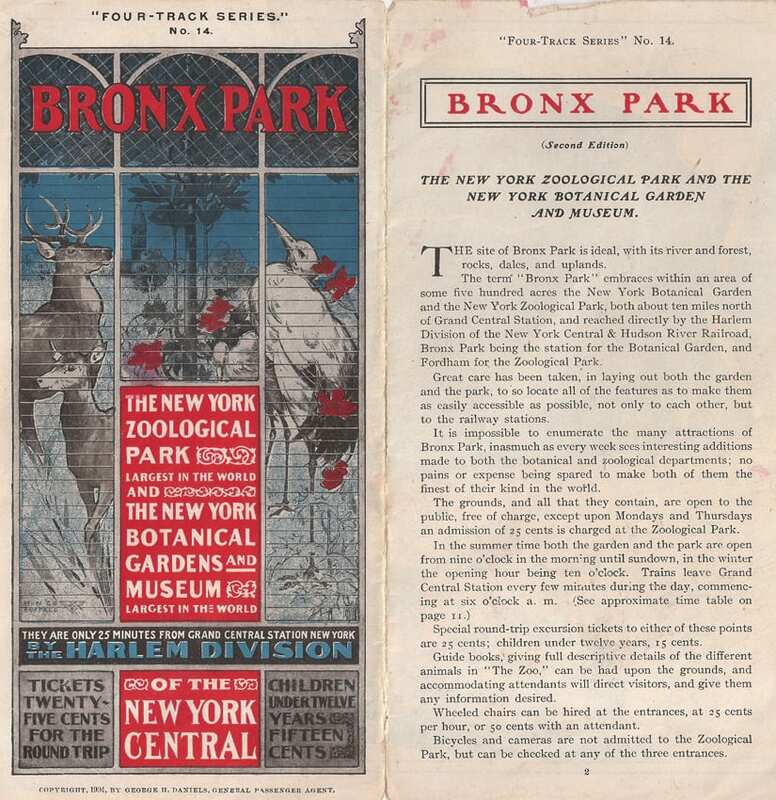 I grew up within walking distance of the Bronx Zoo. It’s where we went when there was nothing else to do. Talk about being spoiled. But Bronx Park is still Bronx Park. The Zoo and the Botanical Gardens were and are just a part of it (okay, a large part of it). 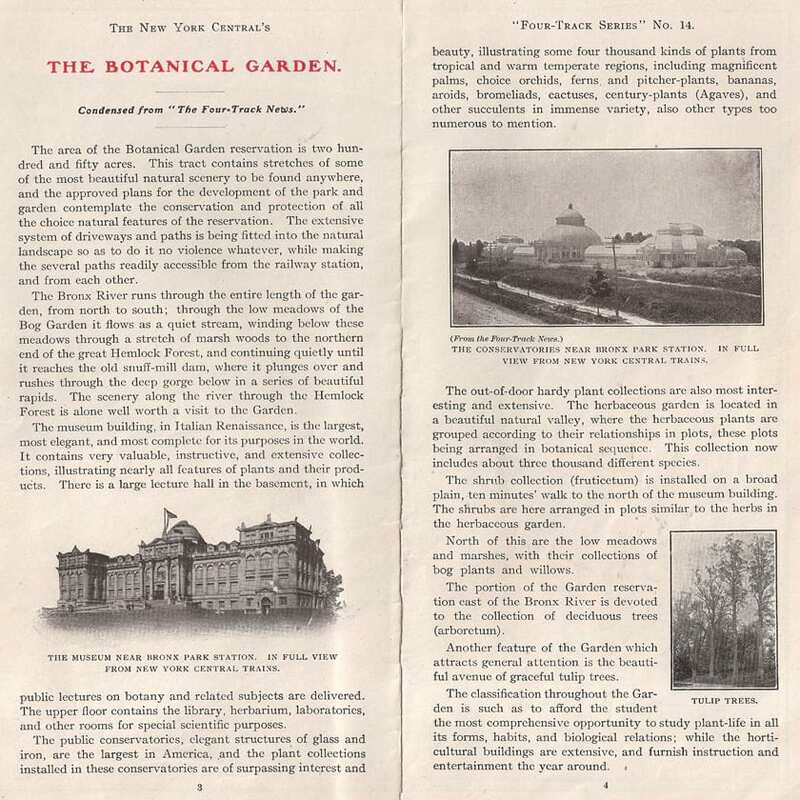 Perhaps, but at least in terms of station naming, what is now Botanical Garden station was actually Bronx Park station.